The sixth chakra, called the third eye chakra is located in the center of the forehead, between and above the eyebrows. Because of its location, it is also sometimes referred to as the brow chakra. The proper Sanskrit name for this area is the Ajna chakra. Ajna means command, authority, or knowledge. The third eye is a symbol of enlightenment in east Indian philosophy. It is also referred to as the "eye of wisdom" or the "eye of knowledge". The red dot worn between the eyes by many Hindus symbolizes the third eye. The third eye is also referred to as the "mind's eye", so if you have ever heard the expression seeing something "in your mind's eye", this is where the saying came from. The sixth chakra is associated with the color indigo, a very dark blue. Indigo represents self-mastery, spiritual realization and the attainment of wisdom. Each of the 7 chakras has a related element, verb and symbol. Light is the element most attach to the Ajna chakra, but some references say it is Time. Fittingly, the verb associated with chakra 6 is "to see". The third eye chakra is represented by a lotus flower with two large (often depicted as white) lotus petals. The number two means subtle, patient, harmonious, peaceful, sincere, cooperative and diplomatic, empathetic, intuitive, and loving. Each of the 7 chakras governs certain areas of the physical body as well as mental and emotional states. This chakra governs the pineal gland, but is also associated with the pituitary gland. The pituitary gland is often referred to as the "master gland" because it controls the functions of the bodys' other endocrine glands. The pituitary gland produces hormones that regulate several areas of the body. For example they control growth, skin coloring and the contraction of a woman's uterus during childbirth. The pituitary also stimulates other gland such as the thyroid. In addition to governing the pituitary and the pineal glands, the third eye chakra is associated with the health of the brain, eyes, the nose and sinuses, the face and our neurological system. An imbalance in this part of our etheric body exhibits itself physically through things like migraine headaches, eye strain, blindness, brain tumors, strokes, learning disabilities, spinal dysfunctions, nightmares or panic attacks. Difficulty concentrating, confusion and memory problems are also connected to a 6th chakra imbalance. On mental and emotional levels, the sixth chakra is linked to our higher mind. Intuition, a sixth sense, extra sensory perception (ESP), telepathy, spiritual vision and insight are all related to the third eye chakra. So are wisdom, the intellect and understanding. Chakra 6 is the seat of our primordial power. 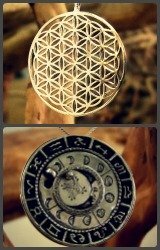 It directs our perception, intuitive reasoning, imagination, intuition, ability to concentrate, and visualization. If the third eye chakra is in balance, we are able to concentrate and focus as needed; we can imagine something and bring that idea into reality, and we have a strong sense of intuition. An unbalanced Ajna chakra can result in problems with the ability to evaluate something properly, judgement issues, confusion, lack of concentration or discipline, and lack of touch with reality. The gemstones that may help in balancing this chakra include amethyst and moonstone. A small piece of either of these stones worn close to the body can help to mobilize energy in this area. The essential oils associated with brining balance to the 6th chakra include jasmine and mint. Each of the seven chakras has a purpose in our life and calls us to learn lessons in this lifetime. The third eye chakra is about bringing action to our ideas, developing our mind and intellect, dreaming, and developing our sense of perception. The third eye chakra can be opened and brought into greater balance through meditation and other exercises. Development of the third eye chakra in this lifetime will allow us to more properly use intuition in decision making instead of the judgement that comes from the use of our physical senses only. It is about reconnecting to the wisdom that is available to us from within. Go from the Third Eye Chakra to read about chakra 5, the Throat Chakra. 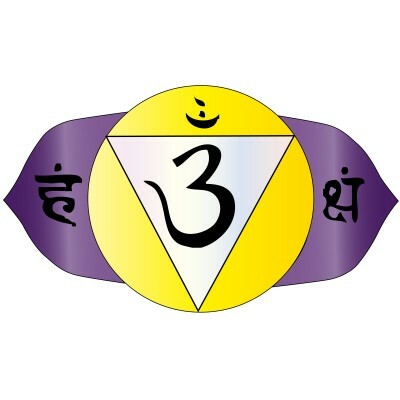 Read about chakra 7, the Crown Chakra.